You will love this Locust Point Penthouse level 1 bedroom, 1 bath condominium with wonderful south facing views conveniently located in Fitler Square next to Schuylkill Banks Trail...a true walkers, joggers and bikers paradise! 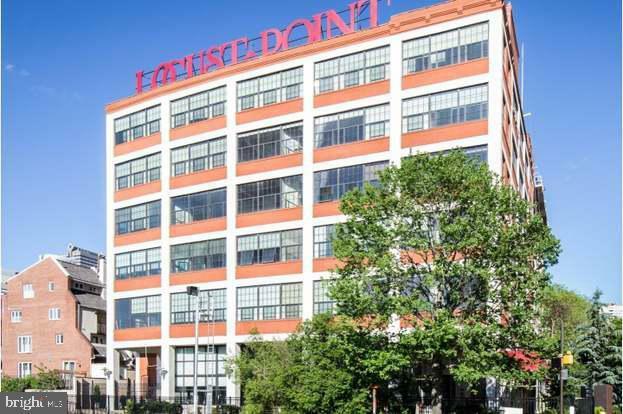 Locust Point is a pet friendly professionally managed elevator building, consisting of 110 units and offering an attractive lobby, wide hallways, common terrace and gym. Condo fee includes parking space #42 in the building garage. Unit includes large glass casement windows, high ceilings, hardwood floors, lovely kitchen with granite counters, stainless steel appliances, loft style bedroom, full bath with tub/shower combo, good storage closets. Unit can be sold with or without parking space.